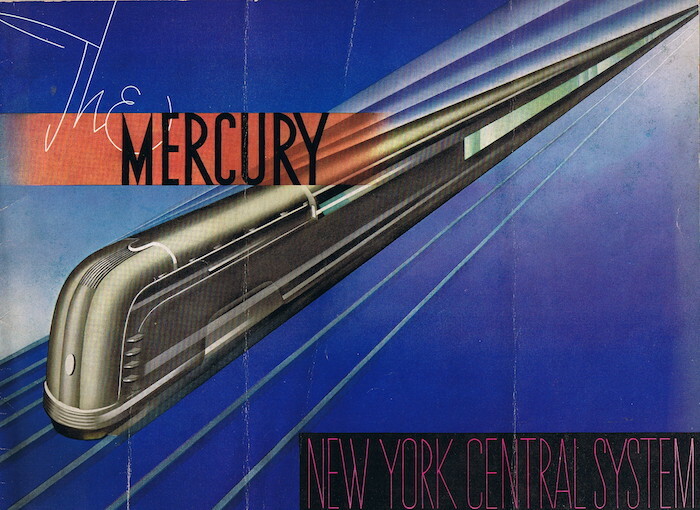 New York Central Railroad’ Mercury streamliner passenger train, operated between midwestern cities from 1936-1959. 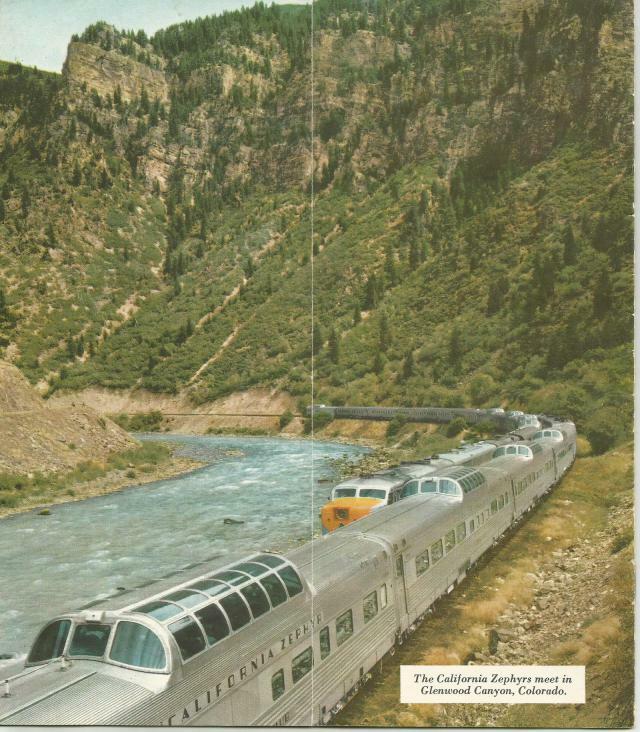 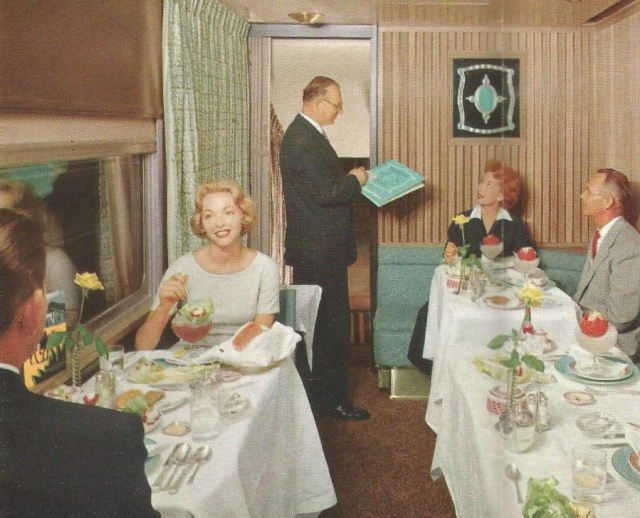 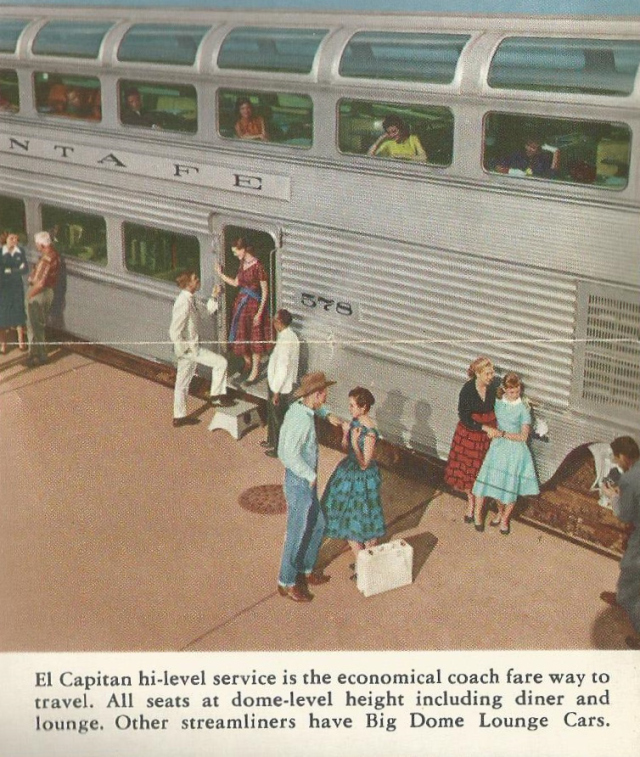 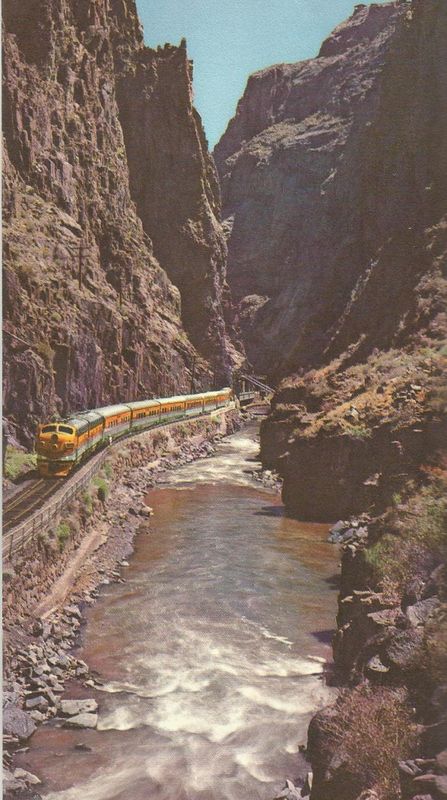 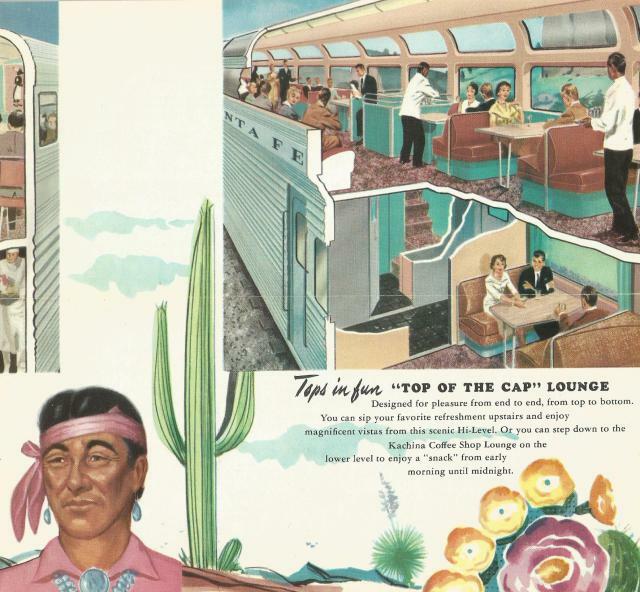 In the late 1950s through the first half of 1960 the three railroads that ran the pre-Amtrak California Zephyr refurbished the train’s cars that had been functioning since the late 1940s. 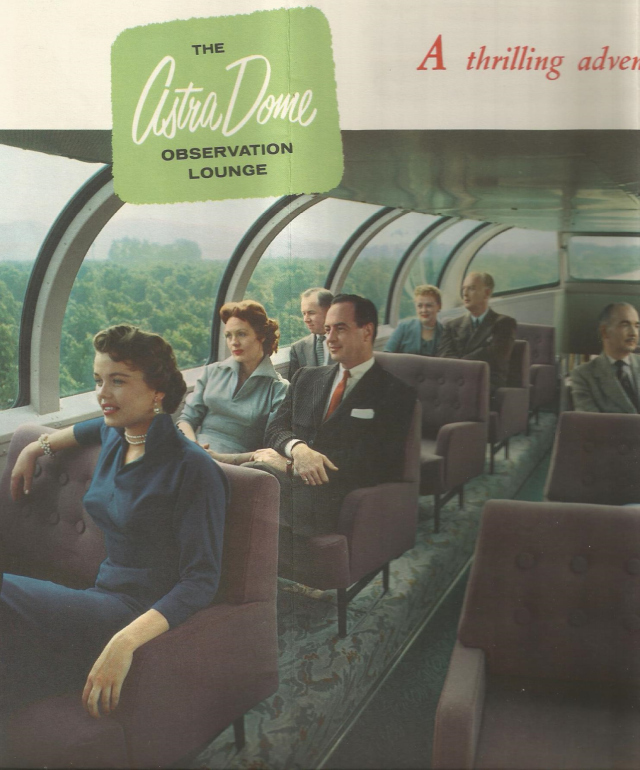 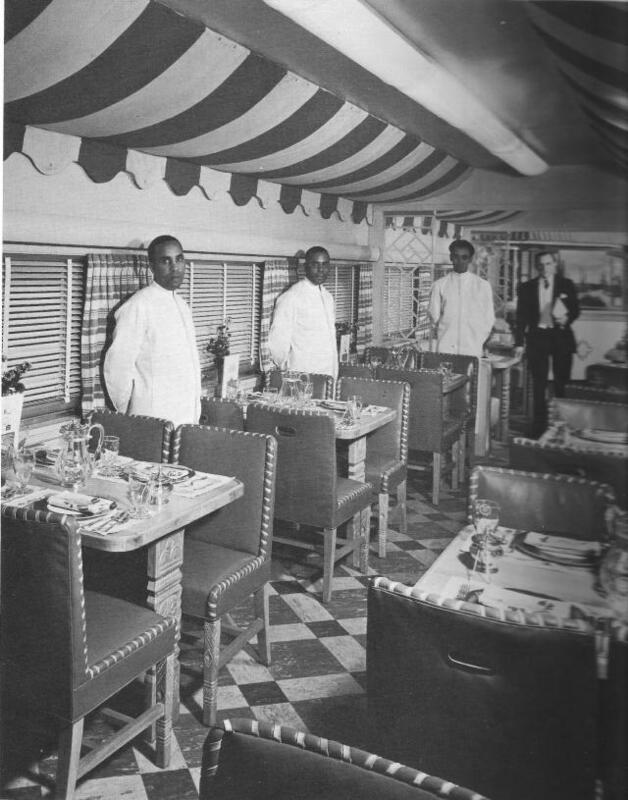 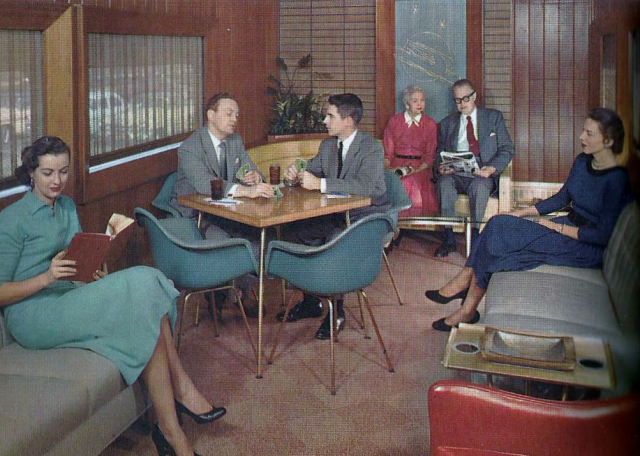 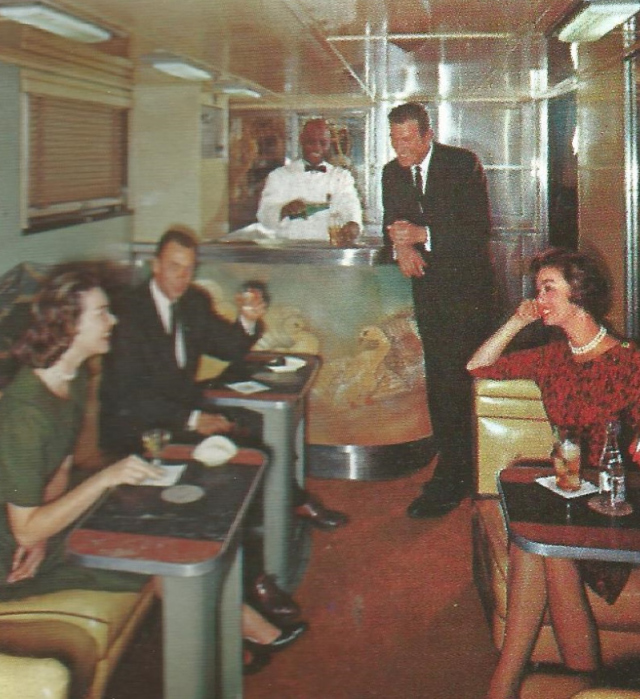 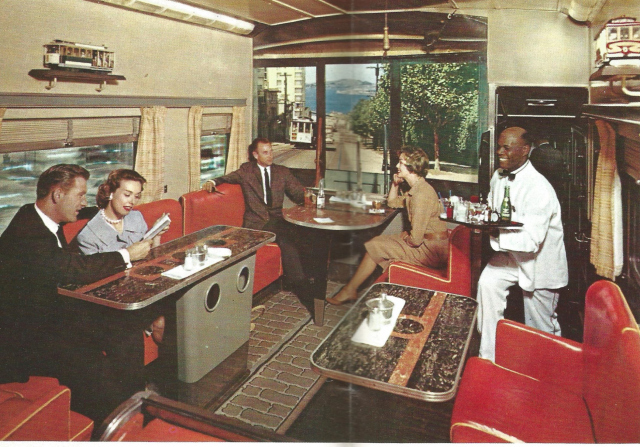 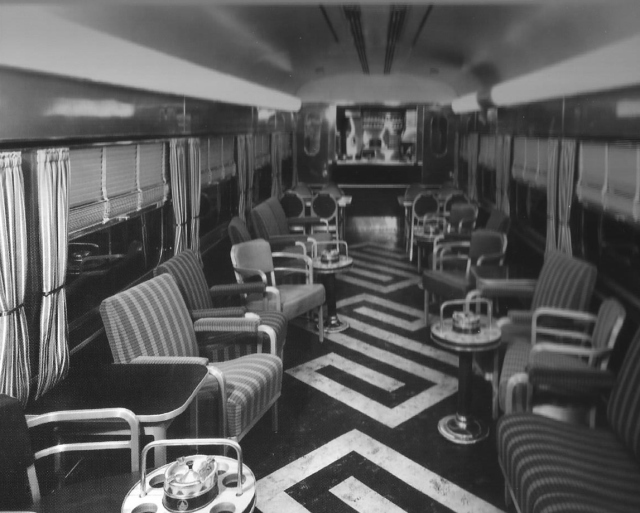 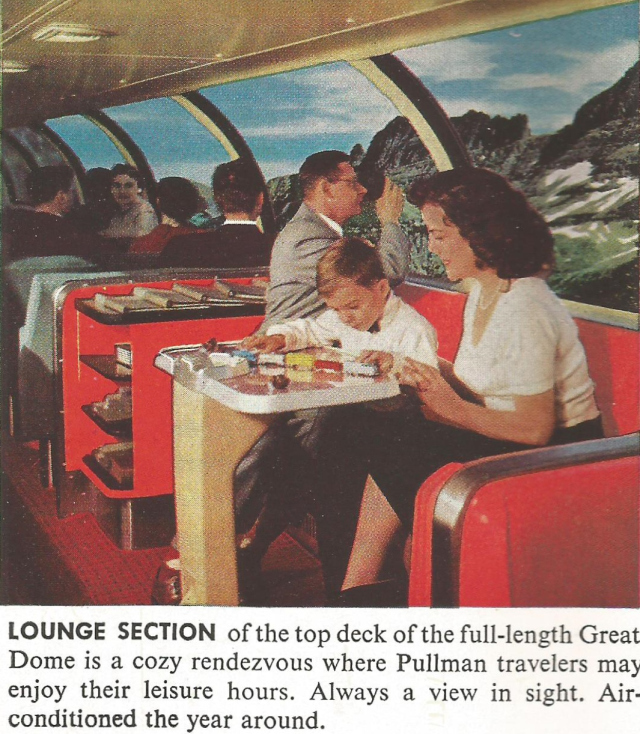 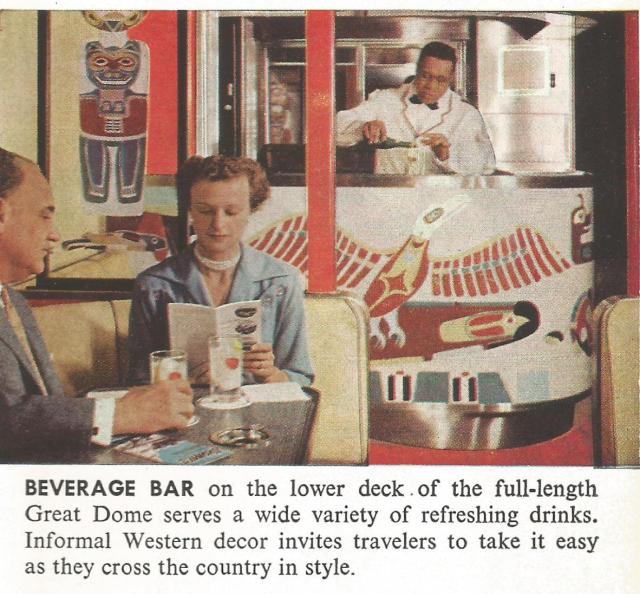 Below is the refurbished cocktail lounge beneath the dome of the observation car. 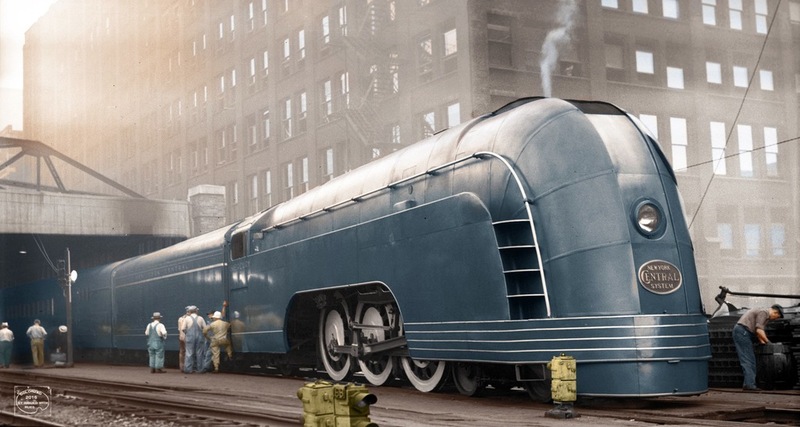 Colorized by Imbued with Hues. 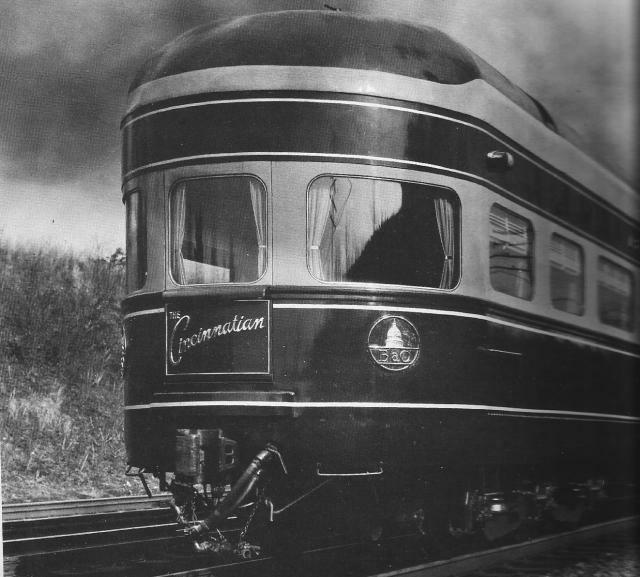 This service sadly suffered the first fatal crash of a streamliner in the history of railroading in 1939. 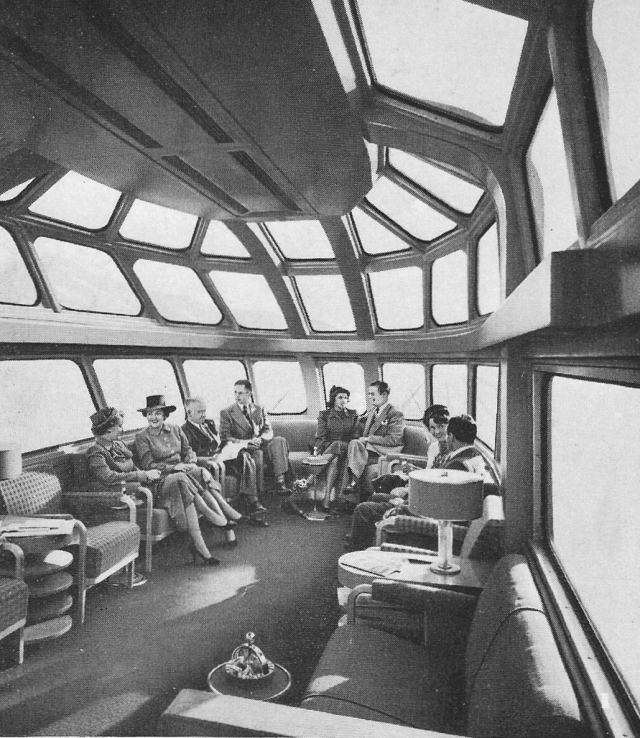 You can see the newsreel of the wreckage here. 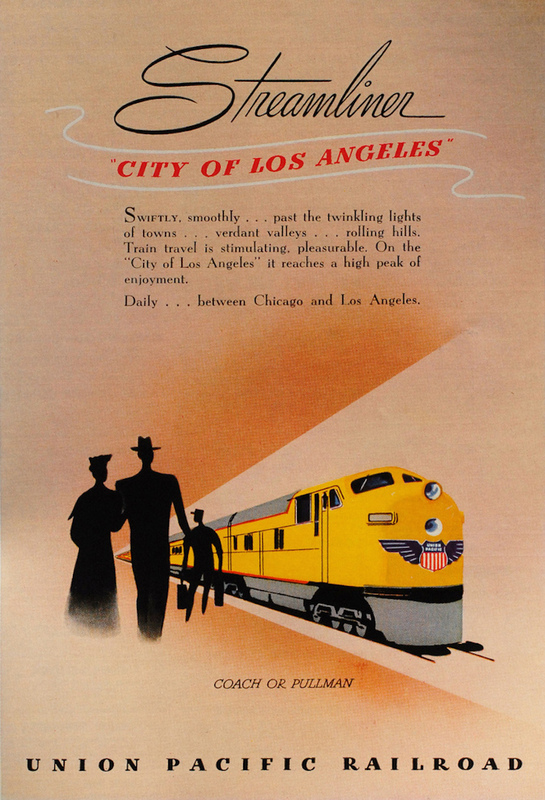 Services from Seattle/Portland to Chicago. 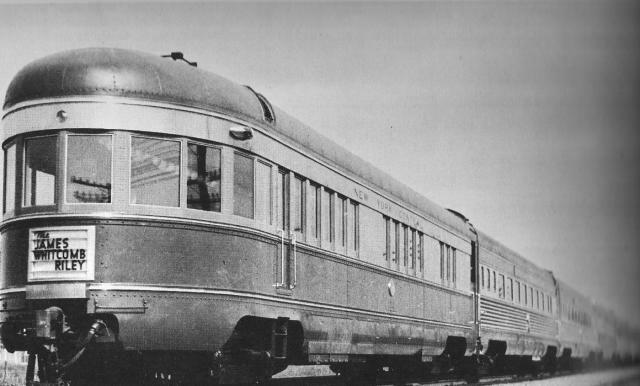 A Southern Pacific Chicago-LA streamliner, pictured in the 1950s. 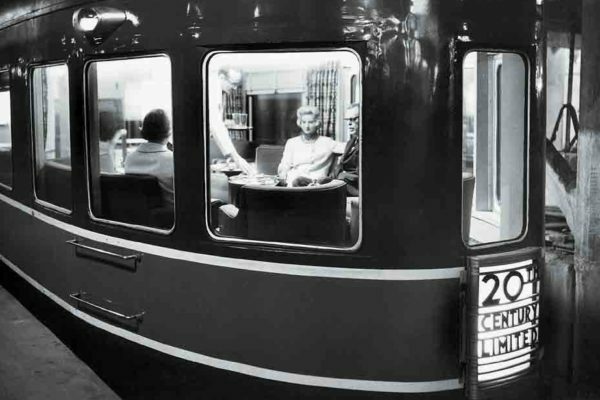 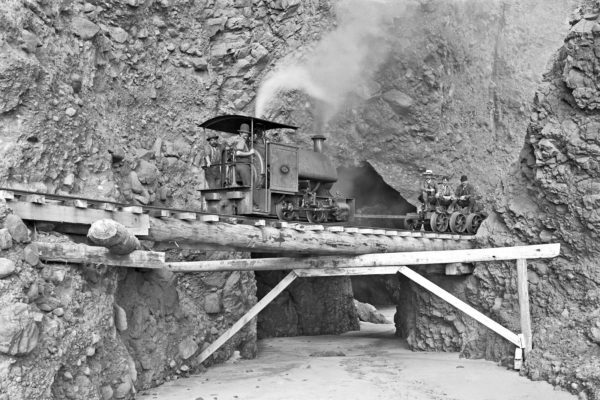 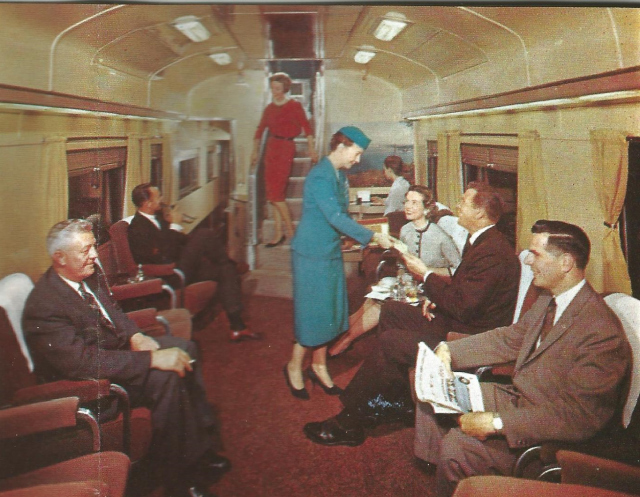 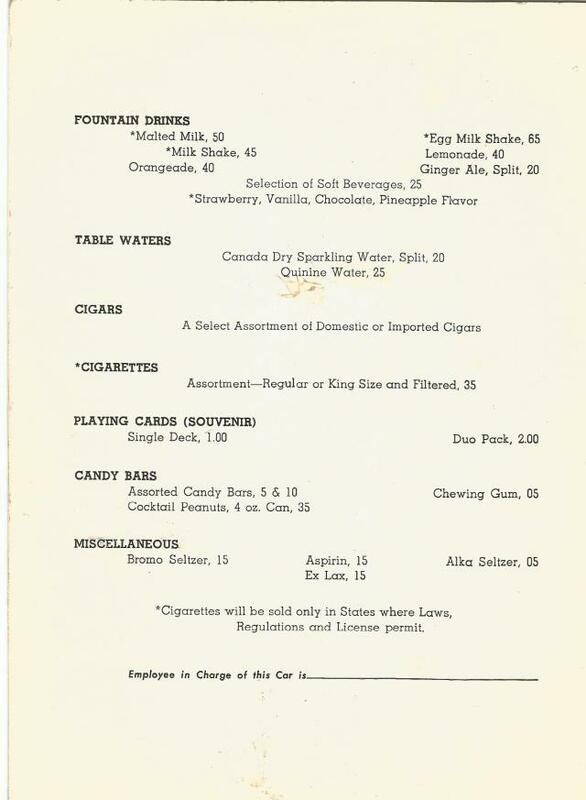 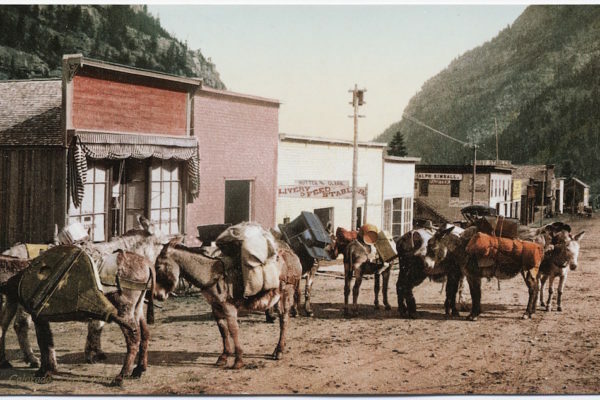 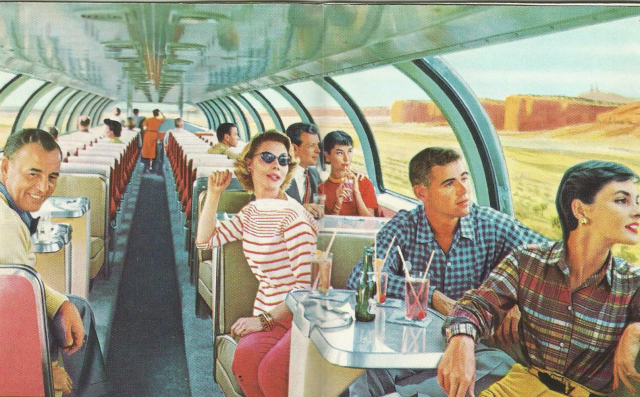 (Painfully obvious however that this era of train travel was pre-civil rights). 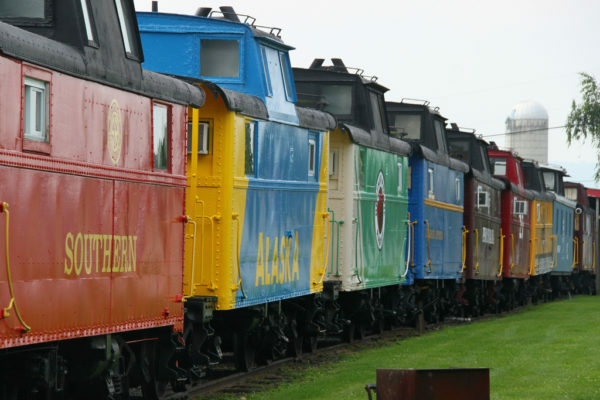 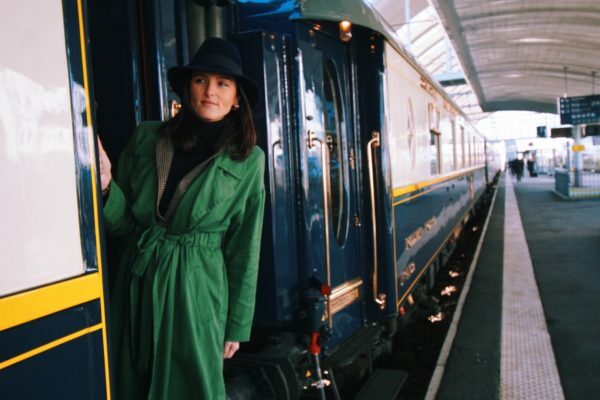 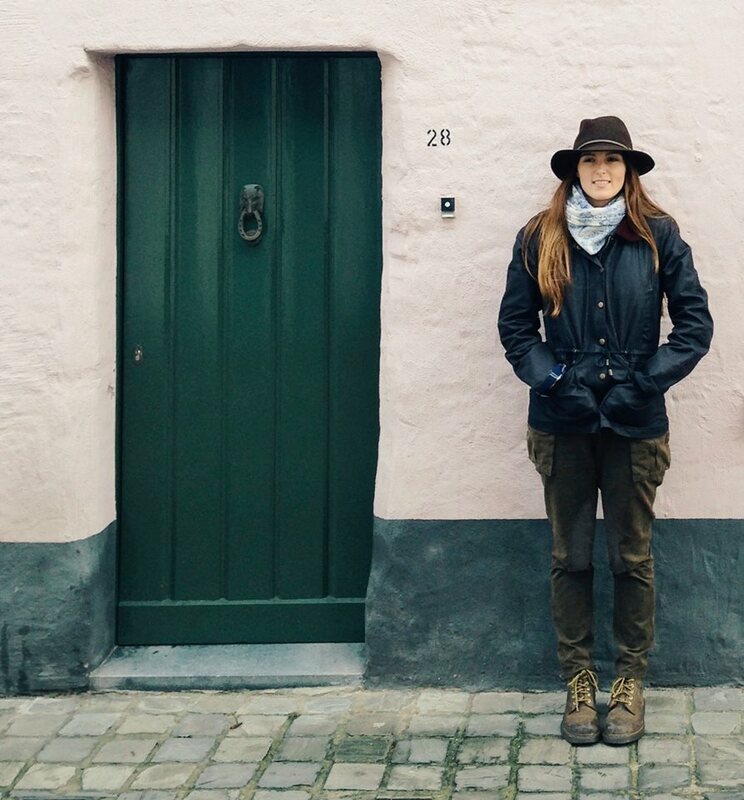 I’m just curious to know from any of my American readers– do you travel your country by train? 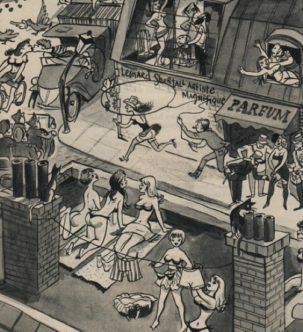 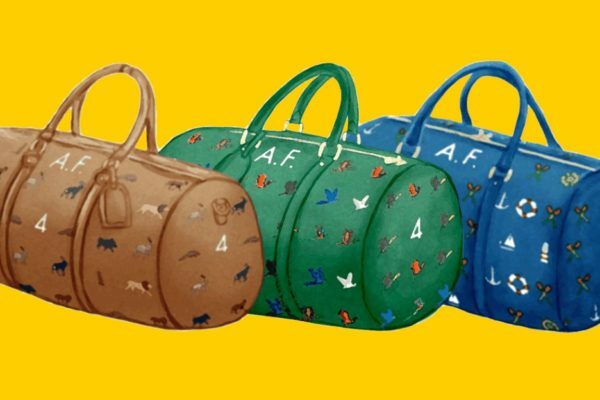 Is there any glamour to it all left these days? 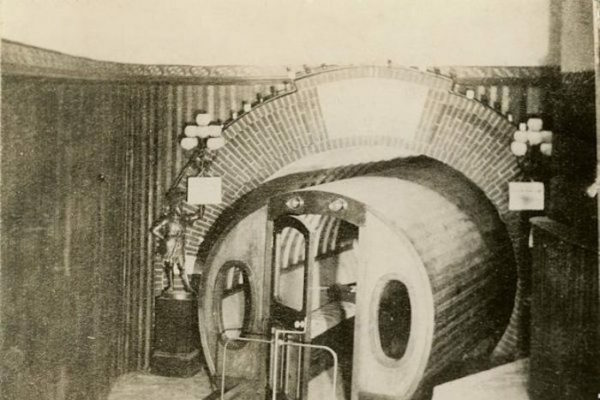 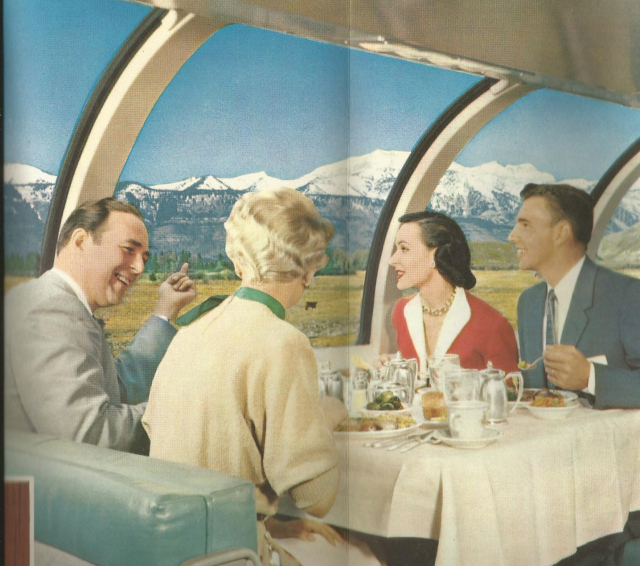 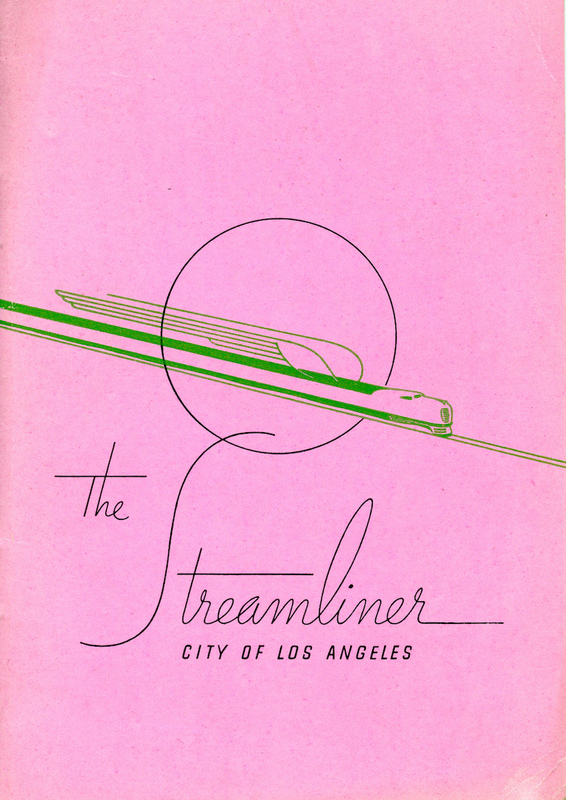 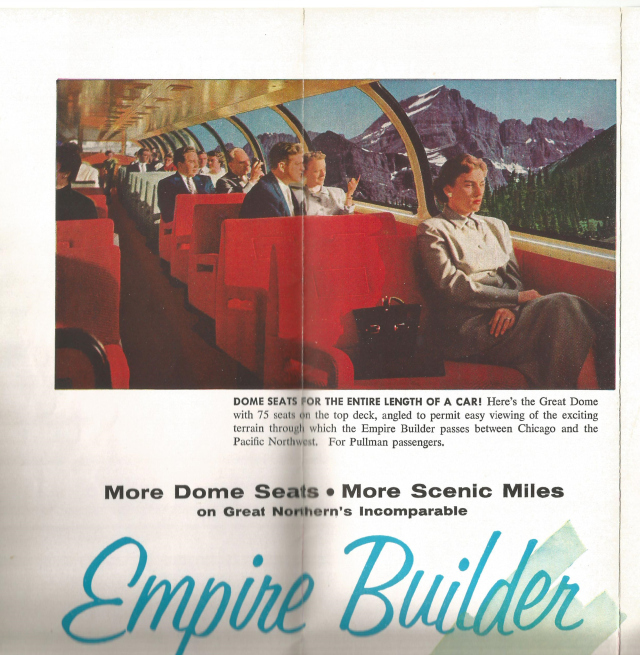 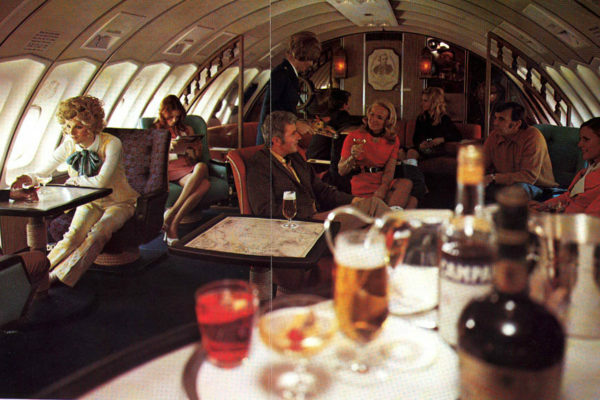 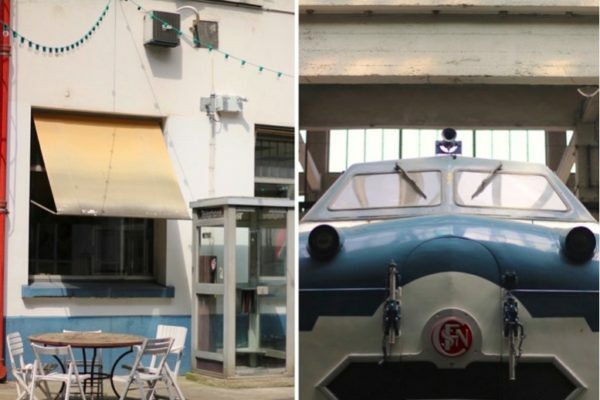 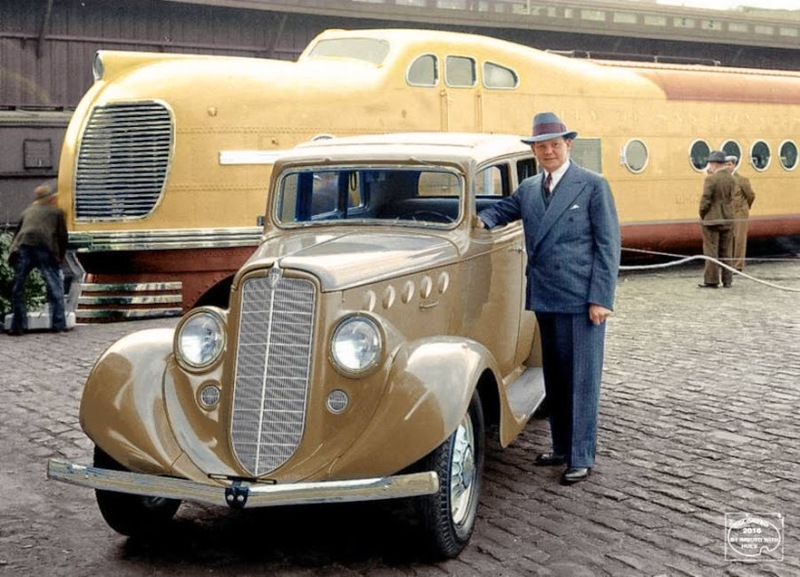 Discover more Streamliner Memories here.